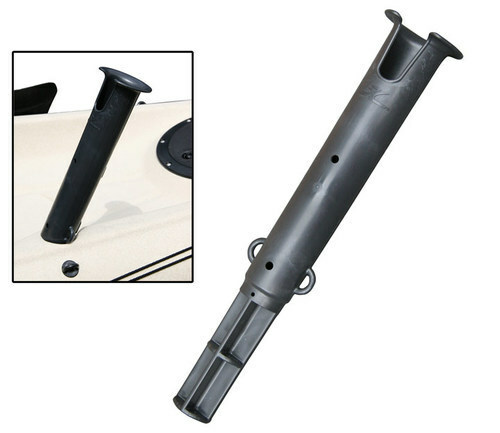 Keep your fishing rods secure with the Hobie Rod Holder Extension. This extensions fit right into the molded-in rod holders and offer a larger diameter sleeve that is deeper thus protecting your reel from water. Leash the holder extension to the boat and the rod to the holder using the molded eyes.